#tootdon is archiving you. Even if you are not using it. @kjwon15 i'm curious, how did you figure this out? 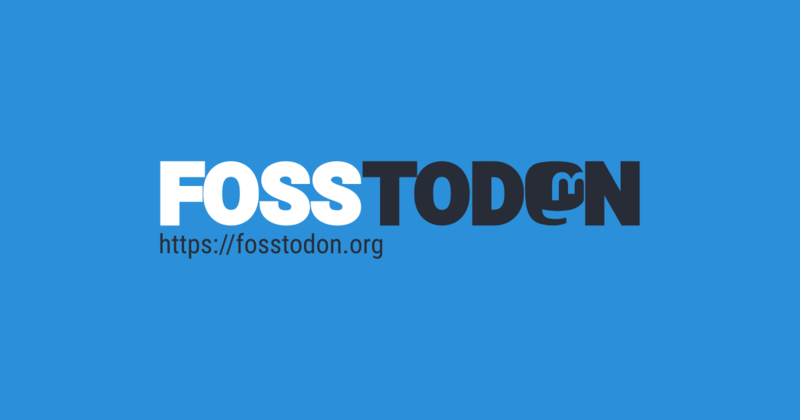 is there an endpoint on tootdon's servers that we can query? @wolfteeth @kjwon15 the app indexes only public toots for search function. 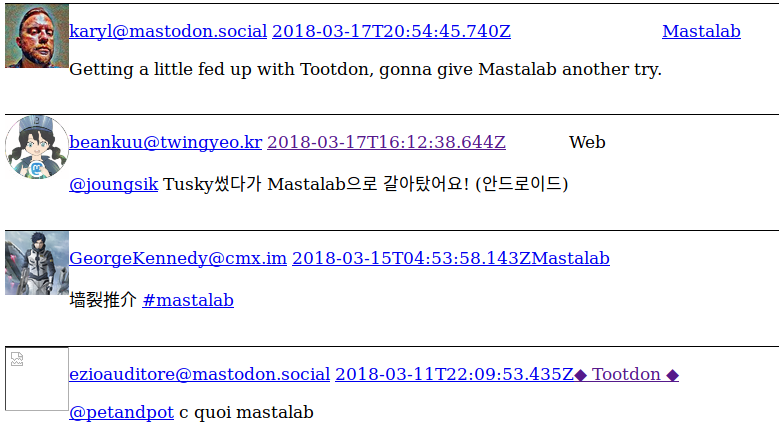 If you deleted your toot on tootdon, it will be deleted on the search index too. Toots older than one month will be deleted from the search index. Kinda pissed at @tootdon right now for not disclosing that they forward public toots to an indexing serving, because I would’ve wanted to know that (and to disable it). But the immediate reaction of “use open source lol”: did you personally compile it? If not, you’re no better off. You’re trusting the app packager to compile only the code in the public repo. And for that matter, do you trust that your instance admin isn’t doing the same? @tek @tootdon unless you check the source yourself, and understand it, and compile yourself, and self host... so yeah, there has to be a balance. And I’ve never met @kev but I trust him. I’m also back to using Tootdon as everything else on iOS I find is rubbish for me. @ignitionigel @tek @tootdon mwahaha that was first mistake. Joking aside. In the midst of #deletefacebook a few privacy concerns have come to light on mastodon too. For example, admins can see ALL toots on an instance. "Private" or otherwise. Important note: mastodon doesn&apos;t have "Private messaging", it has 1:1 messaging only. I know this has been raised to @Gargron and options are being explored of maybe having a warning msg. @ignitionigel @tek @tootdon @Gargron ultimately though, there&apos;s always going to be some level of trust required for any service of this kind. If it makes anyone feel more comfortable, I can categorically say that I have NEVER read any toots in the admin system, unless I&apos;m checking an reported account. @kev @tek @tootdon @Gargron @mike I can understand that. I have far better things to do with my time than trawl DMs. @ignitionigel I can echo this. I never read toots in the admin system unless there&apos;s a complaint. I&apos;ve known @kev for years now, and I would never have signed up to help admin this system if I had any concerns about his integrity.